I have it for 9 years, have been a backup phone since it can no longer support latest apps. If any of my expensive smartphone going down i'm using this phone for basic call and sms. This phone tough like tank and amazingly the battery still runs excellent and havemore power stamina than todays smartphone. This is my favorite phone all the time. It was the best phone that I had. It was compact and full of features. There was a lot of support on XDA-developers for this device, so many custom ROMs, kernels and mods. I remember, when I got my first smartphone (Xperia X8). I was amazed by its features (GPS, WiFi, Android apps...). Then I realised that java2me phones became useless. I couldn't go back to non-Android devices any more. It lost usability, when its stock Android 2.1 became unsupported by many apps. Then, I decided to revive it, so I installed custom ROM Cyanogenmod 9 (ICS) with custom kernel. I used to overclock it, play games, install system mods, tweak software, customize it... Only thing I didn't like is armv6 CPU, which can't support newer apps. Once it was accidentally laundered in washing machine, but I revived it later. It is in pretty good condition now, except some stains inside display. I still have it today, but it is outdated device, so it isn't in use. I had my first android experience with this phone, very exited about performance very good.Worth having on 2018 for calls and browsing. Anonymous, 05 Feb 2018My first Android phone... I have here with me working fine, good memories when I use it.Yeaaa i still use it. as extra phone, for calls. and alarm. like it! My first Android phone... I have here with me working fine, good memories when I use it. AnonD-714578, 09 Nov 2017This was, as it is the case with many other users, my first Android phone. I have very fond me... moreBelieve it or not, but I'm using that exact same Phone with the original 2 GB memory card. That's because it was my first Android phone as well and my "normal" phone broke a while ago. Surprisingly this phone is still usable as daily driver, but it's a shame that some Apps like the "Market" App (before Google Play), YouTube and WhatsApp aren't supported anymore. I kept this device as my daily driver for only one year, but it is one of the most robust phones I have ever owned. Back then specs weren't really important, so it didn't matter if it had only ~200MB of RAM or a (pretty slow) 600Mhz processor. I fortunately never sold my X8, and it still is on my desk as of this day, as a reminder of the simpler times of Android 1.6. Like many comments i've read and came across, this also was my first ever smartphone. It was nice, it was a gift. Even tho it was cheap it had all the functionalities. When technology evolved I had too. 3 years later i bought a Nexus 5 in 2014. Now that is a phone, still using it today. But i'm glad i changed to my nexus 5, what a jump. This phone is a true survivor - had it for 6 years before I changed it to a newer model, and only because some important banking apps required 5.0+ Android. However, 2.1 Eclair just didn't cut it... so I rooted it, installed FroyoPro, and eventually ditched Google apps because they were hogging the storage and memory. Formatted the SD card so it had an ext2 partition, installed link2sd, and the phone worked like a boss. At times I had almost a week of battery uptime with light usage, I'm not kidding. Tbh, I would've kept it as it was if not for the necessary software update, as it was incredibly reliable and could run all of the needed apps, even GPS. And realistically - what more would you even need from a phone? despite it's 15 millimeter thickness, and a body, which is not considered as permium, I was still comfortable with testing such an old phone. It still worked perfectly fine. 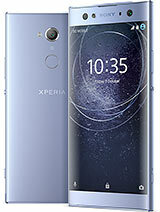 I did not even notice the missing premium design and thickness, because phones are built for practical functionality originally. There has to be at least one brand, that does not sacrifice anything for design. I tried that device today. Despite having Android 2.1 with a highly crippled notification center without function toggles, that device still worked very smoothly and it was pretty comfortable to work with it. Somehow, I am a fan of retrocomputing. Why? New technology does not physically change old one. It does not get worse, except Apple messed up the iPhone 4s from 2009 using iOS9, which intentionally crippled the general performance and experience of the device.